The following article was originally published by the German Marshall Fund’s blog competition on Transatlantic Cooperation. You can view the original here. The future of the transatlantic relationship has been repeatedly called into question in the past years: from the trade and investment partnership negotiations that started between the U.S. and the EU in July 2013, the tensions after the revelations of the NSA data collection program, the close cooperation on the Iranian nuclear dossier, to the NATO–EU show of solidarity over the current Crimean crisis and Russia’s geopolitical revisionism. The trust among the allies is greatly dependent upon both parties’ willingness to continue their historical cooperation and to find new, mutually agreed upon benchmarks of interaction and burden-sharing. There is a high demand for re-branding the nature of transatlantic relations in the 21st century, especially in terms of security and defense collaboration. The EU member states must carry their own loads in terms of security making, but individually, they have failed to bring what they have promised to the table. This is mainly due to low defense budgets and uncompetitive defense industries in a climate of fiscal austerity. To address such obstacles, the EU should further develop the Common Security and Defense Policy (CSDP) in line with cutting-edge defense capabilities and build-up strategies, as set forth by the EU Summit in December 2013 and under EDA’s guidance. To achieve this level of integration, the delicate balance between NATO and the EU must also be addressed by both sides. As NATO’s Anders Fogh Rasmussen has repeatedly asserted, there cannot be a credible EU external engagement in the international arena without the military means to back it up. To become a reliable security partner to NATO, the EU must first develop its own security and defense policy. NATO and the EU have indeed 22 members in common, but they are different institutional entities in terms of goals and scope, with different organizational structures, historical origins, functions, and political cultures. 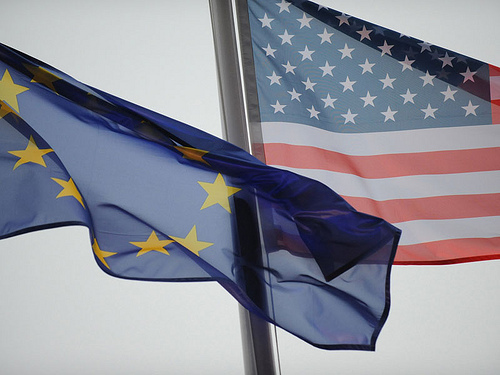 The degree of security and defense cooperation between NATO and the EU remains one of the most interesting and complex issues that affects the future of the transatlantic alliance. In terms of security policies, the two organizations have different strategic visions with regard to warfare, defense cooperation, and the pooling and sharing of military resources. By primarily functioning as a defensive military alliance, NATO can commit the Alliance to defend its members from threats under the Article 5 principle of collective defense. Conversely, the EU is uniquely placed to respond to international crisis-management challenges given its comprehensive approach, normative legitimacy, and niche capabilities designed for integrative civilian-military planning. Consequently, a fundamental element essential to the future of the transatlantic relationship is the EU’s capacity to conduct the full set and broad-spectrum of military operations and to reduce its ‘capabilities–expectations gap’ with the development of ‘smart’ weaponry. The EU needs to become autonomous at strategic and military operational levels more than ever before if it wants to achieve the status of a credible global actor and a reliable international security provider. This entry was posted on 11/07/2014 by ISIS Europe in Contributors, Opinions, Raluca Csernatoni and tagged CSDP, EDA, eu-NATO, German Marshall Fund, NATO-US, NSA, transatlantic cooperation, Transatlantic Partnership, Transatlantic Security.